A Student Council is a representative structure through which students in a post-primary school can become involved in the affairs of the school, working in partnership with school management and staff and parents for the benefit of the school and its students. We believe that students have a valuable contribution to make to the effectiveness of their school. In turn, their involvement in the operation of the school is itself a valuable part of the education process for the students. A Student Council provides an opportunity for students to engage in a structured partnership with teachers, parents and school managers in the operation of their school. Research indicates that Student Councils can improve academic standards and reduce dropout rates in schools. Through the Student Council, we aim to create a sense of ownership of the school and its activities among the student population. 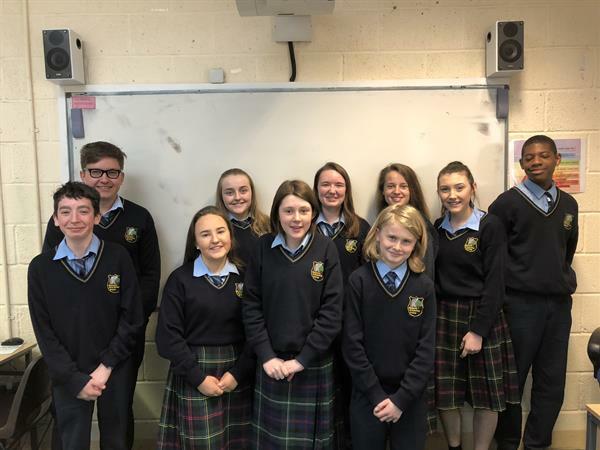 The establishment of a Student Council gives students an opportunity to acquire the sort of communication, planning and organisation skills which will be of benefit to them in their future lives. It enables students to take responsibility for projects, and to demonstrate that they can manage and bring such projects to successful conclusion. Moreover, the contribution made by a Student Council to the development of school policy in several areas can have significant benefits for students and the school. School policies are far more likely to be successful where they are clearly understood and accepted by all partners within the school community. To promote friendship and respect among students. The Student Council is a representative structure through which students in MEC can become involved in the affairs of the school, working in partnership with school management, staff and parents for the benefit of the school and its students. We believe that students have a valuable contribution to make to the effectiveness of their school. In turn, their involvement in the operation of the school is itself a valuable part of the education process for the students.Through the Student Council, we aim to create a sense of ownership of the school and its activities among the student population. The MEC Student Council 2017 comprises students from all 6 years from MCC, MPP and the Aonad. The Student Council began meeting in October and have weekly meetings where all student issues are introduced and discussed. Students from MPP, MCC and the Aonad are invited to bring any issues they have to the attention of the relevant Council members and their concerns will be discussed at the weekly meeting. This year's Student Council have already made significant changes to the toilet facilities and plans are underway to facilitate lunchtime soccer on the astroturf. 1st Year - Vivienne Dowd, Sean Gerard Walsh, Sophia Ball and Tom McNeill. 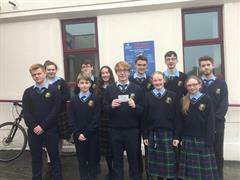 2nd Year - Sarah Duffy, Lochlann Smith, Kadif Constance, Nell Mescal, Callum O'Reilly and Eabha Murphy. 3rd Year - Ella Mahon, Jack Crawley, Lauren Condron and Filip Terescak. 5th Year - Mia Daly, Aisling Doherty-Madrigal and Andzelika Seskute. 6th Year - Sarah Hayes and Ryan Haran.